Jay Cardiello is a TRX and celebrity trainer to the stars and athletes has put together a 15 minute Upper Body workout that you can do with your suspension strap. You will achieve a much stronger, leaner and toned upper body by performing these 5 suspension exercises. Watch Jay take you through the exercises in the video below. Each exercises should be performed for 60 seconds with a 30 second break in-between. For a full upper body workout, do 3 to 4 rounds of these and a great tip mentioned by Jay, to increase intensity, change your body angle by taking a step backwards or forwards. For more TRX exercises, have a look at Dan Long’s Suspension Revolution program here. 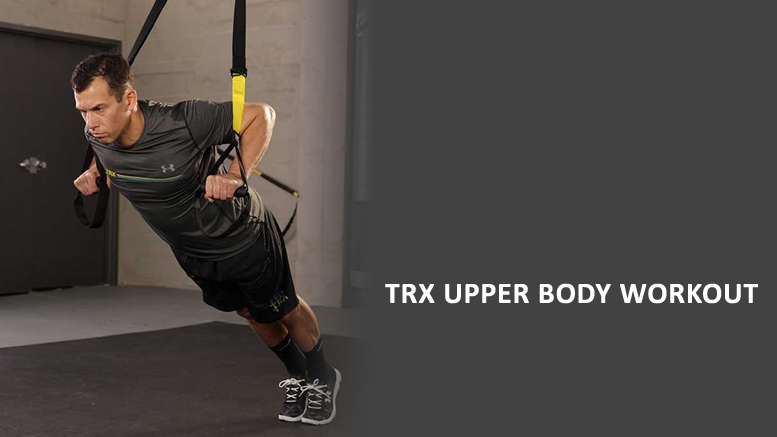 Be the first to comment on "15 Minute TRX Upper Body Workout"